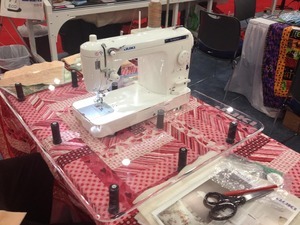 Turn your portable sewing machine into a sit down free motion sewing machine with this easy to use Sew Steady Free Motion Table, This 24” Deep x32” Wide Table offers an excellent surface for all free motion work. This table comes with 8 removable legs. Includes 2 x 16” cling rulers ideal for free motion quilting. 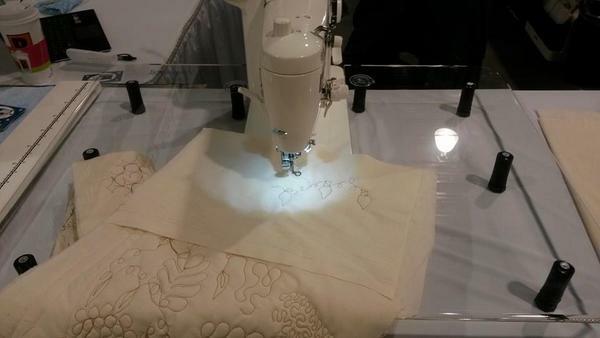 Have you ever thought about facing your machine for free motion quilting? This table allows me to do just that on the TL2010 making it an even more perfect quilter.